Art Nouveau (French pronunciation: ​, Anglicised to ; cz Secese; at. Sezession, germ. 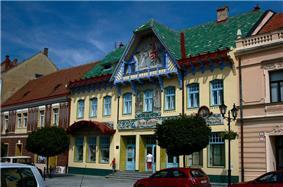 Jugendstil, eng. Modern Style) or Jugendstil is an international philosophy and style of art, architecture and applied art - especially the decorative arts - that was most popular during 1890 — 1910. 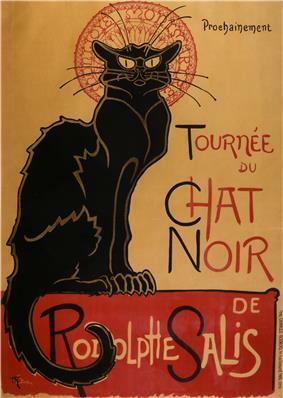 English uses the French name Art nouveau ("new art"), but the style has many different names in other countries. A reaction to academic art of the 19th century, it was inspired by natural forms and structures, not only in flowers and plants, but also in curved lines. Architects tried to harmonize with the natural environment. Art Nouveau is usually known as Jugendstil (pronounced ) in Germany, as Modern (Модерн) in Russia, as Lilienstil ("lily style"), Style Nouille ("noodle style"), Paling Stijl ("eel style"), and Wellenstil ("wave style"). 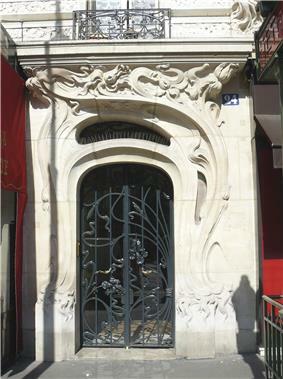 Although Art Nouveau acquired distinctly localised tendencies as its geographic spread increased, some general characteristics are indicative of the form. A description published in Pan magazine of Hermann Obrist's wall hanging Cyclamen (1894) described it as "sudden violent curves generated by the crack of a whip", which became well known during the early spread of Art Nouveau. 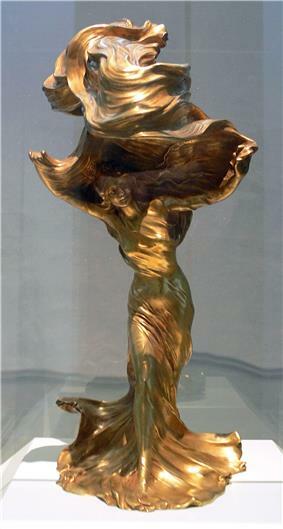 Subsequently, not only did the work itself become better known as The Whiplash but the term "whiplash" is frequently applied to the characteristic curves employed by Art Nouveau artists. 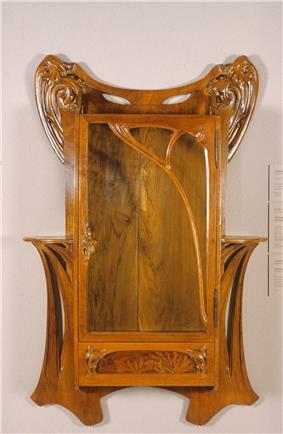 Such decorative "whiplash" motifs, formed by dynamic, undulating, and flowing lines in a syncopated rhythm, are found throughout the architecture, painting, sculpture, and other forms of Art Nouveau design. 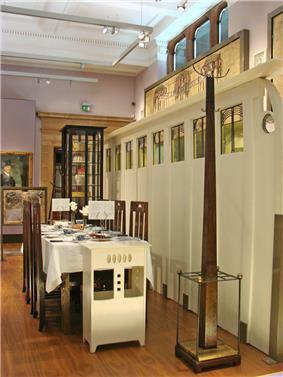 The origins of Art Nouveau are found in the resistance of the artist  Besides being adopted by artists like Emile Gallé and James Abbott McNeill Whistler, Japanese-inspired art and design was championed by the businessmen Siegfried Bing and Arthur Lasenby Liberty at their stores in Paris and London, respectively. 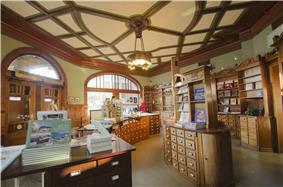 Art Nouveau in architecture and interior design eschewed the eclectic revival styles of the 19th century. Though Art Nouveau designers selected and 'modernised' some of the more abstract elements of seaweed, grasses, and insects. The softly-melding forms of 17th-century auricular style, best exemplified in Dutch silverware, was another influence. 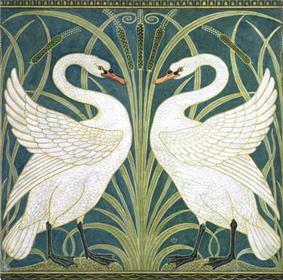 Art Nouveau did not negate machines, as the Arts and Crafts Movement did. For sculpture, the principal materials employed were glass and wrought iron, resulting in sculptural qualities even in architecture. Ceramics were also employed in creating editions of sculptures by artists such as Auguste Rodin. 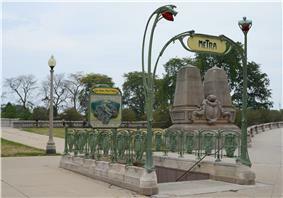 Art Nouveau tendencies were also absorbed into local styles. In Młoda Polska ("Young Poland") style in Poland. Młoda Polska, however, was also inclusive of other artistic styles and encompassed a broader approach to art, literature, and lifestyle. In Spain, the style was based mainly in Palau Güell (1886). His designs from about 1903, the Casa Batlló (1904–1906) and Casa Milà (1906–1908), are most closely related to the stylistic elements of Art Nouveau. However, famous structures such as the Sagrada Familia characteristically contrast the modernising Art Nouveau tendencies with revivalist Neo-Gothic. 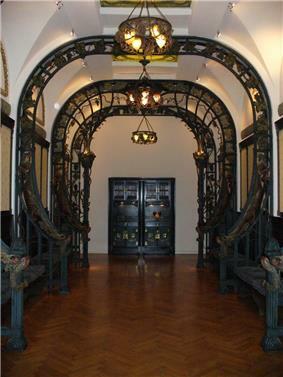 Besides the dominating presence of Gaudí, Lluís Domènech i Montaner also used Art Nouveau in Barcelona in buildings such as the Castell dels Tres Dragons (1888), Palau de la Música Catalana and Casa Lleó Morera (1905). 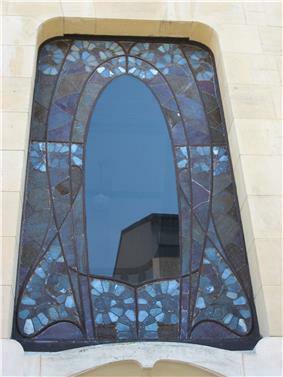 Another major modernista was Josep Puig i Cadafalch, who designed the Casa Martí and its Quatre Gats café, the Casimir Casaramona textile factory (now the CaixaFòrum art museum), Casa Macaya, Casa Amatller, the Palau del Baró de Quadras (housing Casa Àsia for 10 years until 2013) and the Casa de les Punxes ("Pointy House"). Also well-known is Josep Maria Jujol, with houses in Sant Joan Despí (1913-1926), several churches near Tarragona (1918 and 1926) and the sinuous Casa Planells (1924) in Barcelona. A few other major architects working outside of Barcelona were Lluís Muncunill i Parellada, with a magnificent textile factory in Terrassa (Vapor Aymerich, Amat i Jover, now the Science and Technology Museum of Catalonia - Museu de la Ciència i de la Tècnica de Catalunya)and a "farmhouse"/small manor house called Masia Freixe in the same city; and Cèsar Martinell i Brunet, with his spectacular "wine cathedrals", housing town cooperative wineries throughout southern and central Catalonia. A Valencian architect who worked in Catalonia before emigrating to the States was Rafael Guastavino. Attributed to him is the Asland Cement Factory in Castellar de n'Hug, among other buildings. 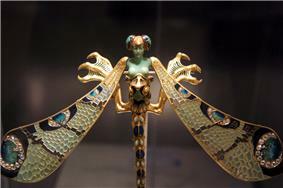 German Art Nouveau is commonly known by its German name, Jugendstil. 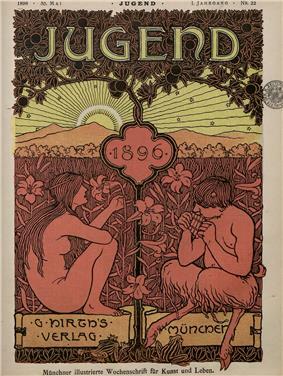 The name is taken from the artistic journal, typography and graphic design found in and influenced by German magazines like Jugend, Pan, and Simplicissimus, it is now applied to more general manifestations of Art Nouveau visual arts in Germany, the Netherlands, the Baltic states, and Nordic countries. 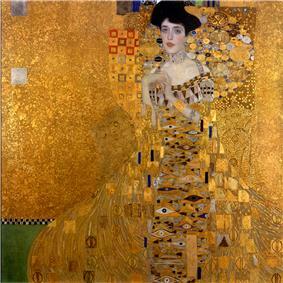 The two main centres for Jugendstil art in Germany were Munich and Darmstadt (Mathildenhöhe). 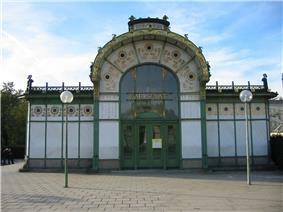 The foremost examples of Art Nouveau architecture (Jugendstil) in Norway are found in Kristiania (Oslo) (1900-1903). 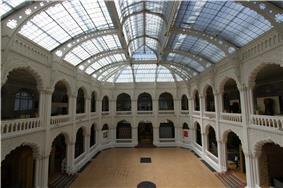 The style of combining Art Nouveau and national architectural elements was typical also for a Slovak architect Dušan Jurkovič who was under the influence of Hungarian Art Nouveau. His most original works are the Cultural House in Skalica in Slovakia (1905), buildings of spa in Luhačovice in Czech Republic (1901-1903) and 35 war cemeteries near Nowy Żmigród in Galicia (now Poland), most of them heavily influenced by local Lemko (Rusyn) folk art and carpentry (1915-1917). In the other side of the Río de la Plata, Buenos Aires still conserves some of its Art Nouveau architecture, also brought by Italian and Spanish immigrants, which developed the jugendstil (Edificio Otto Wulff, by Morten Ronnow, Danish), liberty (Casa de los Pavos Reales, by Virginio Colombo, Italian), modernisme (various buildings by Julián García Núñez, Spanish-Argentine) and Art Nouveau (Chile Hotel by Louis Dubois, French) varieties. Another Argentinean city where this architecture has been recently protected is Rosario, an important port on the Paraná River.